However, on those long rides such as the Ride London 100 which I did recently it's worth giving some thought to energy supplies during a 100-mile bike ride. Realising that a Mars Bar may not quite do the trick I then take to the energy bar cupboard, and there are quite a few to choose from. I can't say I have any real favourites as the fact is I really prefer to eat real food when out riding. Energy bars probably hit the spot but a lot of them begin to taste a bit plasticky and my stomach gets sick of them after 4 hours in the saddle. So I am always on the look-out for solutions that involve real food while getting the energy that'll take me to the finish line without a hunger knock! 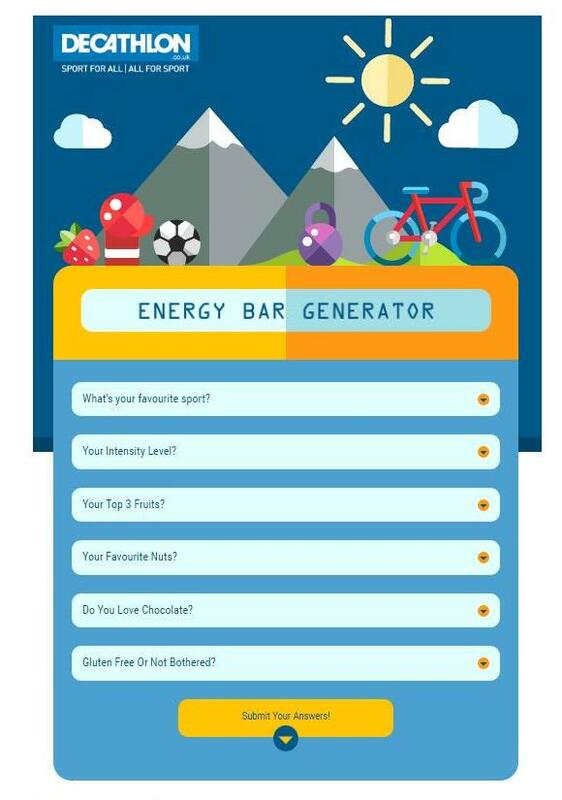 Decathlon sports shop has put together this clever interactive tool call the Energy Bar Generator. Basically you answer some questions about what sport you are doing, your favourite foods, whether you prefer gluten-free, etc and it comes up with a recipe to make your ideal energy bar using real foods. I put in strawberries, raspberries, banana and walnuts. I'm not mad keen on chocolate and not bothered about it being gluten-free. The Energy Bar Generator came up with a wonderful recipe based on the food I mentioned plus figs and oats thrown in. That's yummy! Well it sounds good - I haven't tried it yet! 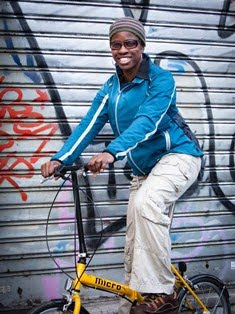 I will certainly give it a go, though knowing me if I like the taste of it I will most likely end up eating it even before I have picked up my bike! But hey, it'll be great fuel for that marathon TV-watching I've been doing for the Olympics! Try the test yourself and see what you end up with.